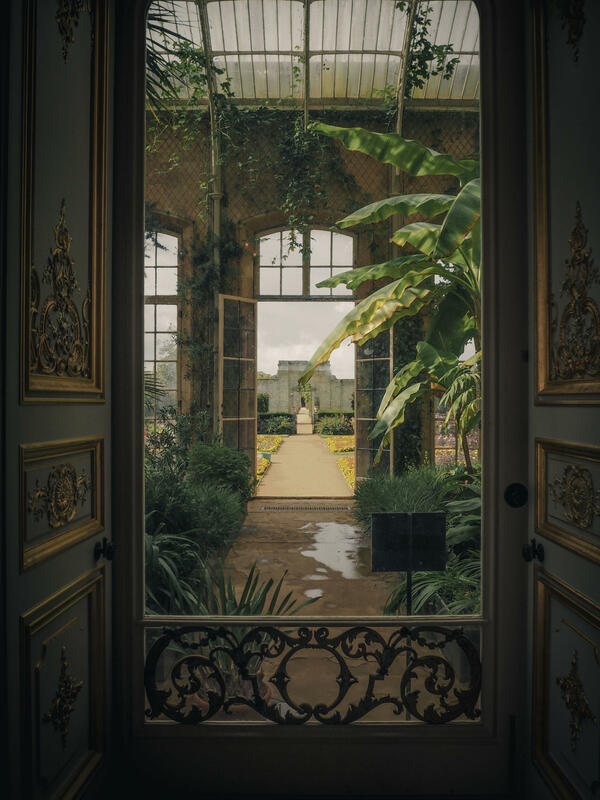 Another local hidden gem I came across a couple of months ago is the little greenhouse at Wrest Park. 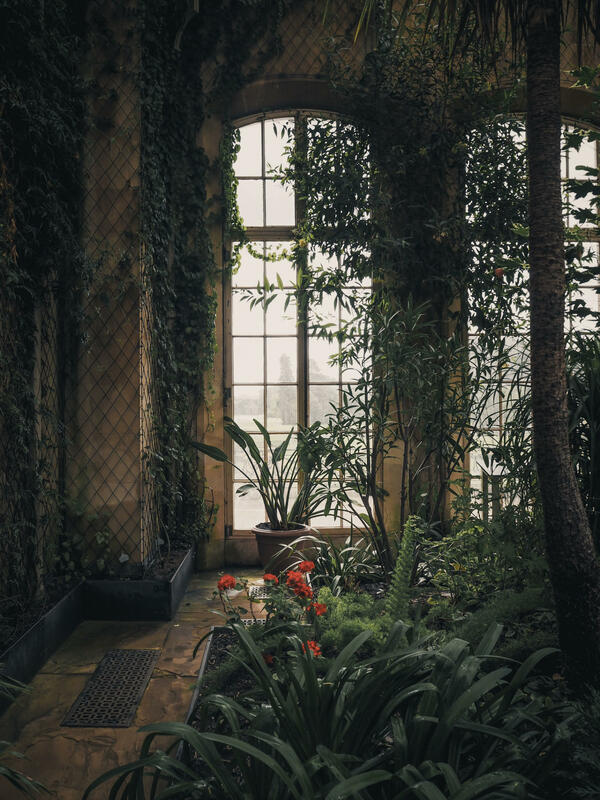 I visited on a very temperamental day weather wise – blazing sunshine swiftly followed by clouds and torrential rain, so this little green sanctuary was the perfect place to seek shelter. 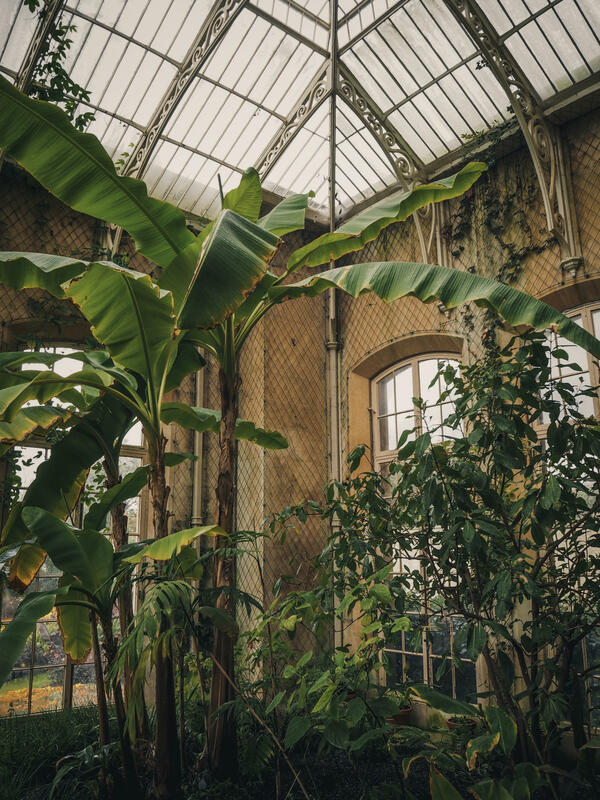 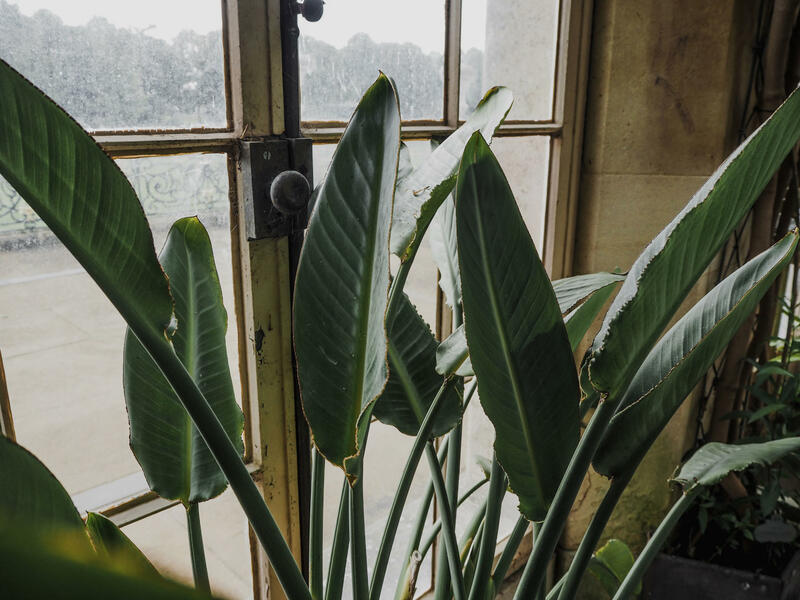 What I love about this greenhouse is how (unlike most I’ve come across in the grounds of stately homes), is that it’s not separate from the main house. 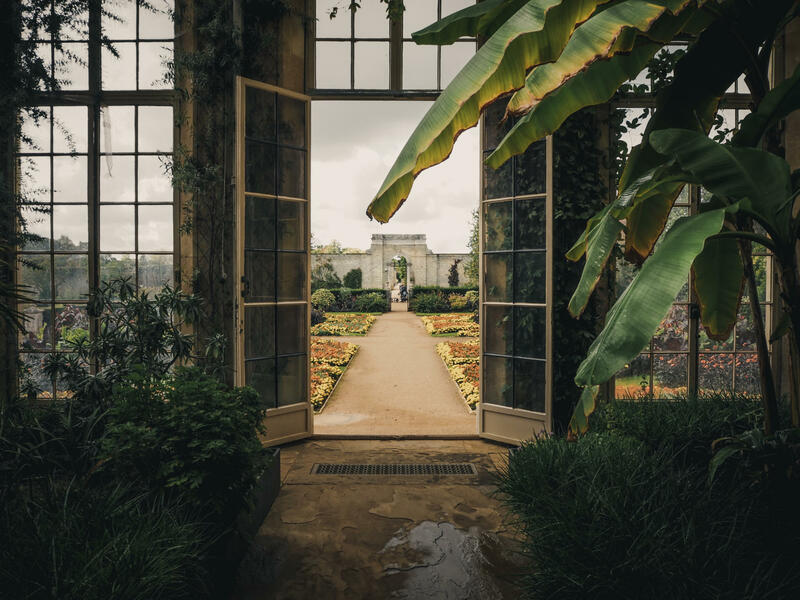 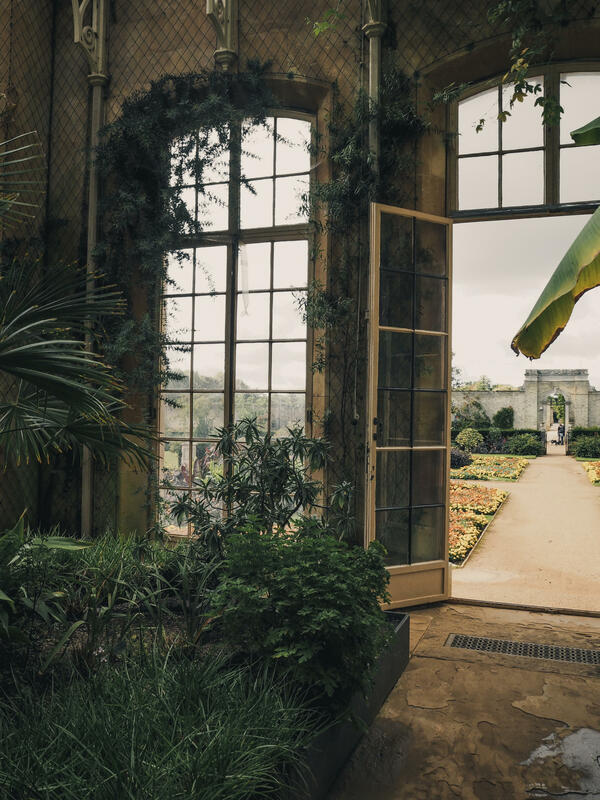 In fact, you could throw open the above doors and step straight into what was once their tea room – Bringing the outdoors in, quite literally.